For a combination of reasons, the horror genre has always attracted its share of B Movies. There are numerous reasons for this, and even today it continues – there are far more straight to DVD releases in the genre than any other. For today’s instalment for Halloween Week, I thought I would share three ‘classic’ horror B movies with you, with the public domain films included. A spanner was thrown into the works when I went to pop this up for you all today, when I found that Openflix on Youtube, my favoured source for public domain films has been shut down. I have managed to track down versions from other Youtube sources though, so hopefully these stay up for the long haul. Enjoy these guys, they are all great fun of some sort or another. I mean really, how can you go wrong with a name like that. Especially when the first time that the words “killer shrews” are said, lightning strikes. This is a classical B movie setup – a night on an island crawling with unknown killer animals and humans who seem to have something to hide. 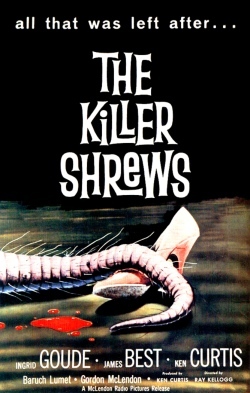 You can also throw into the mix typically awesome B movie dialogue and the fact that I’m pretty sure the shrews are dogs, and there is a typical old school horror flick. This Japanese ‘classic’ takes all the best bits from King Kong and Godzilla and essentially butchers them. But who doesn’t love a shoddily made monster flick homage. Starts out on a very cool isolated island (complete with very unfortunately presented native inhabitants), where scientists are searching out animals for a new theme park. And oh don’t they find some creatures to catch. If hilarious monster special effects & costumes are your thing, then check this one out. This horror/mystery combo is probably the most interesting of these three flicks. Discounting the poor quality of the print, this film looks fantastic. Apparently it borrowed a lot of the Universal horror sets of the time, so that would have helped. The film is a gothic tale of unexplained deaths and the interesting thematic concern of the clash between logic and supposed superstition. 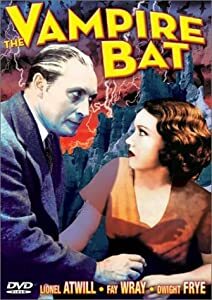 Also features Fay Wray, famous of course for her screamtastic turn in King Kong.